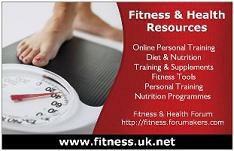 Hi guys, just to let you know that the fitness.uk.net website will be updated this weekend with some new sections, plenty more recipes and a redesign of the fitness section. Excellent! Look forward to seeing them!! !